Chile. Venezuela. United States. Peru. Mexico. Dominican Republic. Haiti. Japan. China. El Salvador. Brazil. Spain. Argentina. All of these countries are represented in my church in Valparaíso. It is a Protestant Christian church that truly makes me feel right at home. It has been a wonderful way to make Chilean friends and always have people to turn to when I face the common struggles that come with studying in a foreign country. The people of my church have welcomed me with so much love and support and have truly shaped my semester in Chile. The diversity within the congregation of Ministerio de Fe is something that I appreciate and value so deeply. Recently, our church organized an intercultural reunion where we focused on praying for the nations and getting a taste of new cultures. When I say taste, I mean taste. Every country created a stand where they decorated, dressed in the typical clothing of the country, and prepared and served traditional foods. After the service, all of the booths opened and the entire congregation could walk around our sanctuary and get a small idea of new cultures and begin to appreciate how distinct and special each one truly is. I obviously represented the United States. 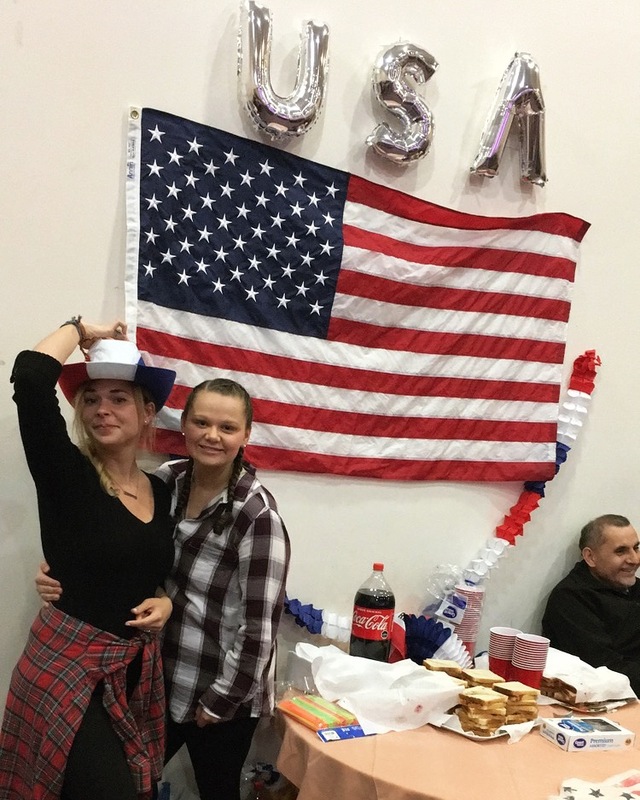 My friend, Katrina, and I proudly wore our flannels, braids, and boots while we served our traditional peanut butter and jelly sandwiches and Coke floats (they don’t have root beer here, so Coke had to do). We decorated with red, white, and blue, and tried to give people a tiny glace into our culture. I was also asked to pray for Mexico, Peru, and the United States. I was able to stand in front of my entire congregation and pray in a foreign language for the deep needs of countries nearby. It was nerve-wracking and I wanted to turn down the opportunity, but at the end, it felt so good, broke so many fears that I had, gave me confidence in my Spanish, and stretched me more than I had imagined. Being a part of a church here in Valparaíso has blessed me tremendously and helps me to better understand Chilean culture as a whole. 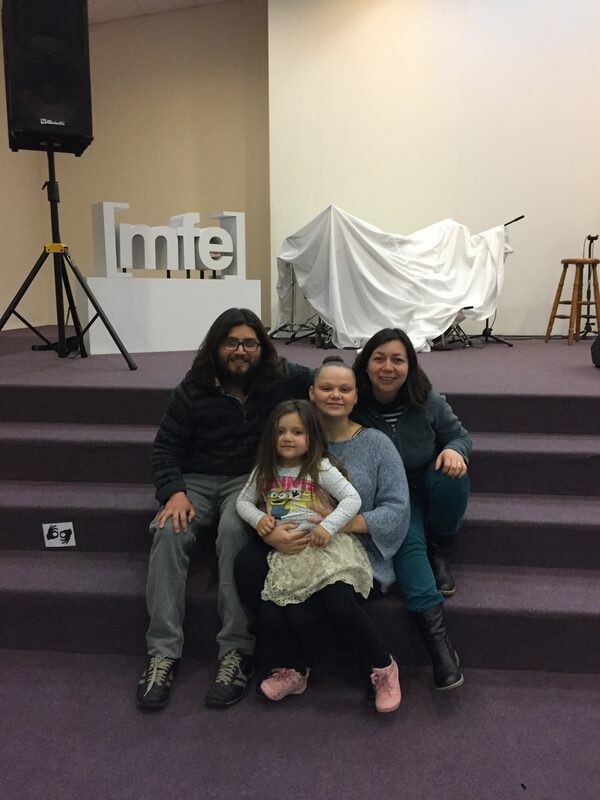 I have been able to form deep relationships with Chileans, but also with people that come from all over the world. I have been stretched to use my Spanish at all times and to engage with people that come from cultures very different than my own. Diversity is such a beautiful thing and I am so thankful that I get to contribute to the diversity of Ministerio de Fe. There’s not many things better than being welcomed with love into a new community, and having the chance to learn and teach at the same time.